The world of gaming has always been the perfect escape for children of all ages. As a little kid, I remember day dreaming that I was Mario, able to jump and get stars to overcome whatever came my way. I’m a little older now, and Super Mario has turned into games such as God of War, Split Second, and Amalur (when time permits). Still, those few hours of playing games provide much needed respite from the daily grind. Kids today would probably only think of the PlayStation 3, the Xbox 360, and the Nintendo Wii when the subject of gaming consoles come up. Those of us who are a little more advanced in years will certainly tell kids that they are lucky to have these consoles, for, back in the day, while there were awesome devices, there were also a fair amount of really, really bad ones. And, just for fun – and to add to our appreciation of the onsoles we have today – here are some of the worst gaming consoles ever made. Made in 1989, this 16-bit handheld game console is actually the first handheld gaming console that had a color LCD. Truth be told, the concept of the Lynx probably was not that bad for its time. However, other technological details just did not match up. It looks horribly clunky, for one, and the battery life was just as bad – even worse. Additionally, it cost a lot for its time. It’s a pity that there’s another Atari device in this list of worst gaming consoles, but the 5200 was merely a crippled version of Atari’s 400/800 computers. And by the time the 5200 was released in 1982, it was practically obsolete. 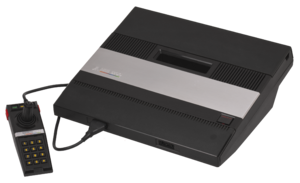 To make things worse, Atari itself didn’t really seem to have much love for the console and didn’t provide much support after the launch. 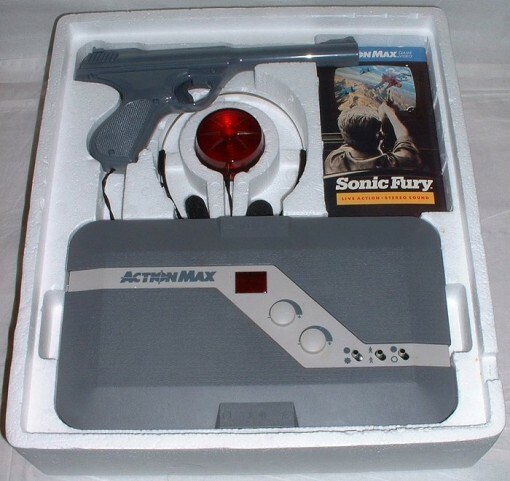 The Action Max was released with bad timing, just around the time the original NES came out. That’s not a good thing in itself, but the fact that the games were horribly un-interactive, not to mention the fact that the you had to have a VHS player to use it. The console couldn’t play its own games! 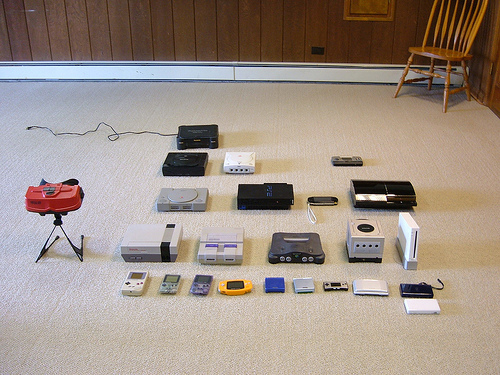 Everyone looks back at the NES with fondness. The Wii was (is) great for group bonding games. (Okay, Nintendo got me at the idea of playing sports without having to sweat under the hot sun.) 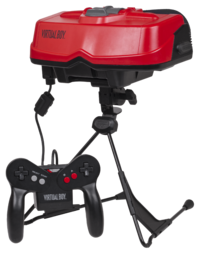 But Nintendo did have its fair share of flops, one of which is Virtual Boy. Released in 1995, Virtual Boy was supposed to be able to display true 3D graphics, giving players a virtual reality experience. Let’s just say that having to stick your face into a plastic case and feeling totally disoriented didn’t help the console’s case. The gaming public didn’t bite, and Nintendo repeated lowered the retail price – to no avail. Yup, Virtual Boy definitely deserves the worst gaming consoles label. I love the name, but only a silly, rich person would have bought this underpowered device in the mid-90s. (The name, by the way, is not based on Tolkien’s epic tale, but on an apple – the fruit – variety.) Unsurprisingly, the Pippin cost an arm and leg, although it didn’t deliver much for gamers. In its lifetime, it only had 18 titles to its name.